This is the first large-scale effort by medical experts to corroborate the accounts of refugees. 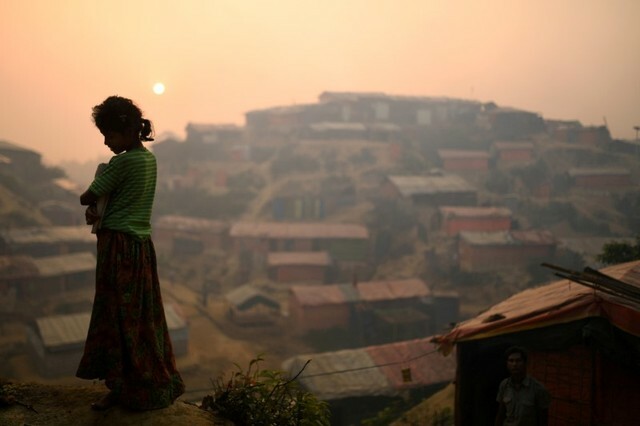 Hong Kong: Rohingya Muslims’s accounts of being shot, hacked and wounded by explosives are supported by forensic evidence, said a report by physicians who examined them in refugee camps in Bangladesh. US-based PHR investigates mass atrocities globally and shared the 1997 Nobel Peace Prize for its medical documentation of landmine injuries. The PHR report focused on refugees from the village of Chut Pyin. Myanmar security forces fired on civilians, raped women and burned homes, survivors and Rohingya residents from neighbouring villages told Reuters. In their estimation, hundreds were killed. The Myanmar government and military did not respond to requests for comment on the report. Officials have said previously that security forces were conducting legitimate counter-insurgency operations against “Bengali terrorists” and have rejected almost all allegations of atrocities committed by troops. “Chut Pyin exemplifies the campaign of violence that Myanmar authorities have carried out against the Rohingya people and should be investigated as crimes against humanity”, concluded the report. Reuters, PHR and humanitarian groups have placed Myanmar’s 33rd light infantry division in Chut Pyin in the days before security forces swept through the village. Commanders from the division held a series of threatening meetings with Rohingya leaders, attendees told Reuters. At a later meeting, a 33rd commander said his troops had attacked the village, an attendee was quoted as saying. The 33rd is one of two elite infantry divisions profiled by Reuters as the “tip of the spear” – a term used by some Western military analysts – in the Rohingya offensive. It was also identified in a recent Amnesty International report as having led the attack on Chut Pyin.